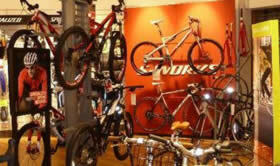 WELCOME TO THE Websters Cycles Limited WEBSITE TERMS AND CONDITIONS FOR USE. THESE TERMS AND CONDITIONS APPLY TO THE USE OF THIS WEBSITE AT http://www.mailordercycles.com. BY ACCESSING THIS WEBSITE AND/OR PLACING AN ORDER, YOU AGREE TO BE BOUND BY THESE TERMS AND CONDITIONS. 1.2 If you have any concerns about material on our site, please contact us by email at info@mailordercycles.com. 4.4 If the goods we deliver are not what you ordered or are damaged or defective or the delivery is of an incorrect quantity, we shall have no liability to you unless you notify us in writing, at our contact address, of the problem within 14 calendar days of the delivery of the goods in question. 4.5 If you do not receive goods ordered by you within 28 days of our notification of dispatch, we shall have no liability to you unless you notify us in writing at our contact address of the problem within 14 days of our maximum delivery period of 28 days from the date on which we informed you that we had dispatched the goods. 4.7 You are required to check goods immediately upon receipt to check for signs of delivery damage and, where you believe damage has occurred, you must mark the delivery driver's paperwork to indicate that the goods are "damaged" or, where the goods are substantially damaged, refuse delivery completely and contact us immediately on 0116 2570777. It is very difficult for us to claim against our courier's insurance if you have signed to accept the goods. 5.1 If the goods we deliver are not what you ordered or are damaged or defective or the delivery is of an incorrect quantity, we shall have no liability to you unless you notify us in writing at our contact address of the problem within 14 calendar days of the delivery of the goods in question. 5.2 If you do not receive goods ordered by you within 28 days of the receipt of the notification of dispatch, we shall have no liability to you unless you notify us in writing at our contact address of the problem within 42 days of the receipt of the notification of dispatch. (b) where goods have already been dispatched to you, by notifying us in writing either at our registered address or by emailing info@mailordercycles.com in accordance with clause 6.3 below. A cancellation form will be included with your order. 6.3.1 You must inform us in writing of your cancellation, at our registered address or by emailing info@mailordercycles.com within 14 calendar days of your receipt of the goods or by completing and returning the standard cancellation form included with your order. The provisions of clause 6.5 do not affect your statutory rights. 7.1.5 that you will not use or attempt to fit/assemble the goods aside from your need to assess them for suitability. 7.1.7 that you will repackage the goods appropriately to ensure that they are received in a satisfactory condition by us at our registered address. 7.1.8 that you are advised to use an insured and signed for delivery service when returning the goods as you remain liable for them until received in a satisfactory condition. 7.2.3 not be liable to refund you if goods are not received back and no proof of postage, clearly stating our details is made available. 7.4.1 you may return goods to us, and we will refund the cost of you doing so, however please check with us first as it is often cheaper for us to collect. 10.6 If you notice any content which breaches these conditions, please notify us by email to info@mailordercycles.com.